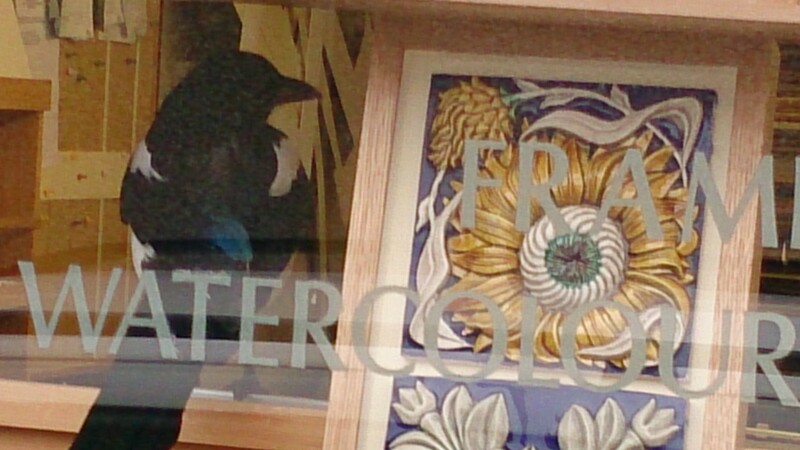 Our visiting magpie did spend some time in the window watching the world outside. Surprisingly, nobody seemed to notice….. right next to those attractive tiles about which we have had some comments since. This entry was posted in ART, Picture Framing and tagged Magpie. Bookmark the permalink.